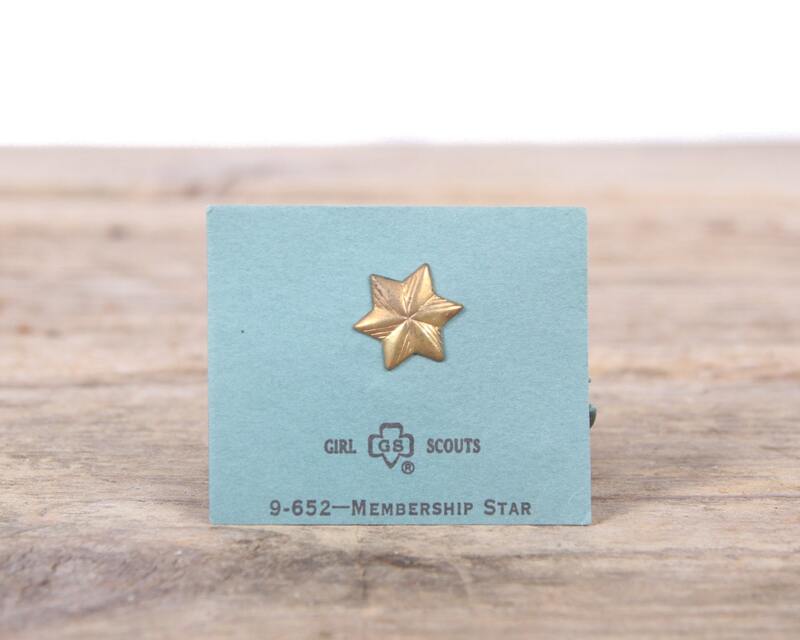 This listing is for (1) vintage, 1970's Girl Scout Membership Star pin. 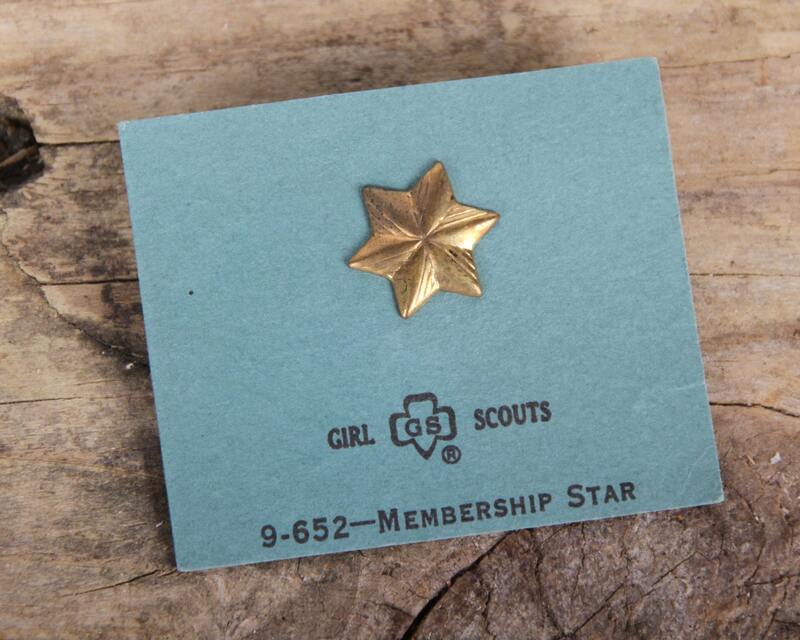 The pin is mounted on it's original card stock. 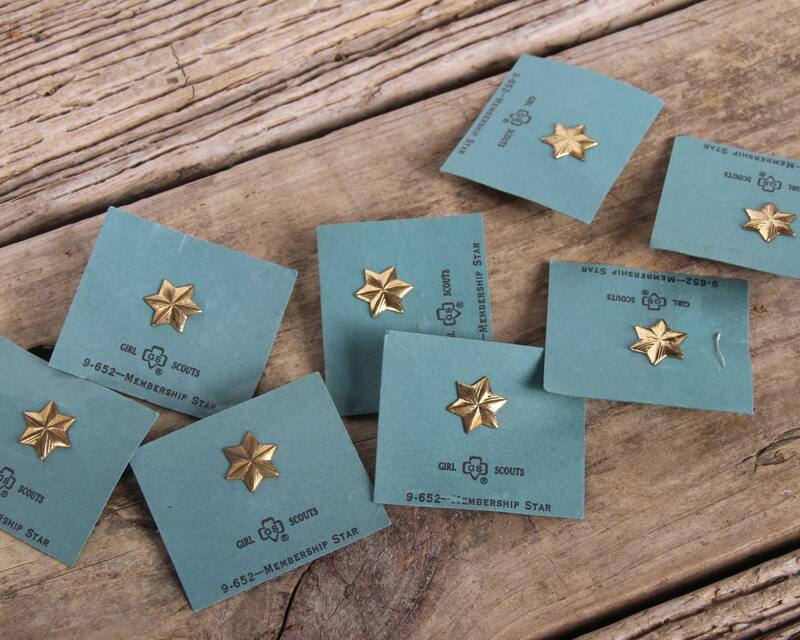 Each pin measures measure roughly .5" wide with the card measuring 1.5" x 1.75". Contact us with any questions.